First, you’ll need one of my patterns. If the PDF file contains a vector that covers 1 full page that hasn’t been set to a 1:1 scale compared to your reference character, proceed to the following below. I’ve also included a printable PDF of these instructions just in case you would like to take it offline. Why don’t I do a 1:1 scale of patterns, you may ask? Simply put – Everyone has different heights in relation to their character, so pattern scaling may vary between people and their unique body types. Others may prefer a larger or smaller prop, so I leave the scaling up to you to decide. I already saved you a good amount of time laying out a lossless high resolution pattern reference, saving you precious time during that con crunch season! All you have to do is download a pattern and print it out! No more wasting time manually drawing out your template! 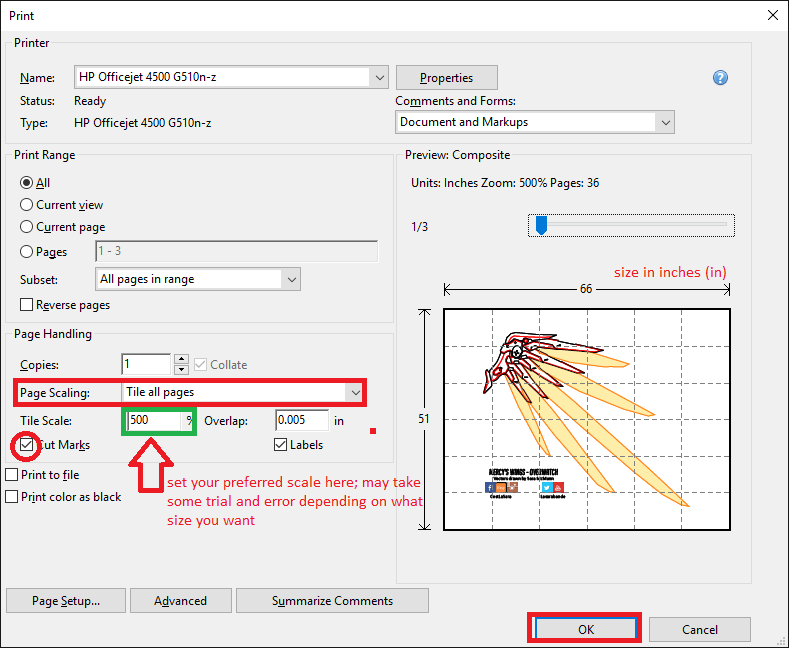 If you want detailed instructions on how to determine the correct percentage % to fill in for your own scaling, please read this tutorial! 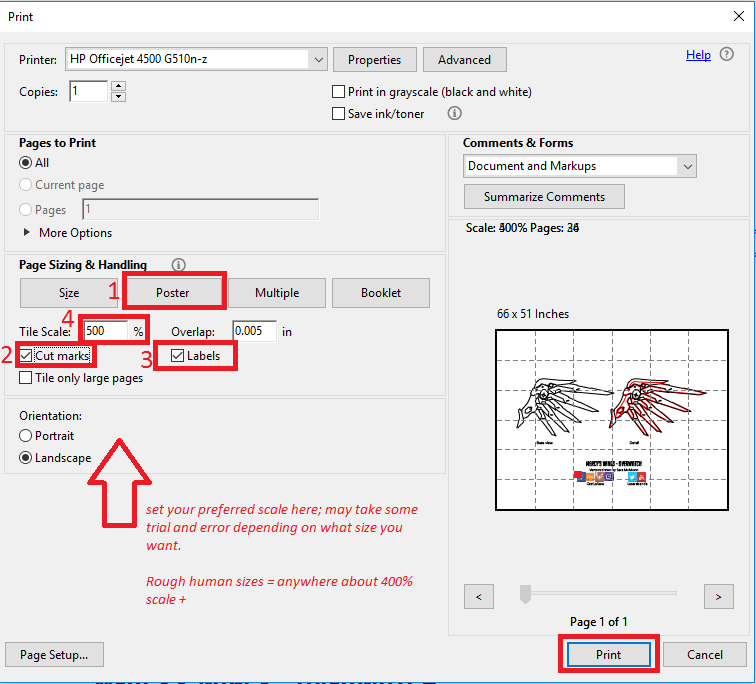 If Adobe does not have the option to [Tile All Pages] when printing, it may not be supported. Below instructions apply if you have a standard office printer that usually handles letter size (8.5 x 11” paper). Otherwise if you have a large scale printer, you will need to consult your printer’s manual or adjust the scaling according to your large scale printer’s settings. Set Page Scaling to [Tile all pages], then experiment as to how much you want your scale to be under [Tile Scale %, in green]. Results may vary as no two body sizes are the same.